Shirts With Random Triangles: Tennessee dissmisses LB Ryan Thaxon a week after arrest on domest violence-related charges. Tennessee dissmisses LB Ryan Thaxon a week after arrest on domest violence-related charges. Mugshot of Ryan Thaxon. Image via The Knoxville News-Sentinel. Ryan Thaxon is an ex-Vol. Tennessee has dismissed the defensive lineman from the football program one week after he was arrested on charges of domestic assault and false imprisonment. 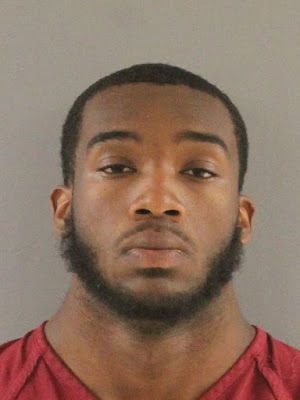 University of Tennessee police arrested Thaxon on July 15 after Thaxon alledegly tried to force a woman descrpbed as his girlfriend to go with him to his dorm room. An AP report published by ESPN says Thaxon then “pushed (the woman) toward the room, picked her up and carried her inside.” He then allegedly blocked the woman from leaving the room. Tennessee initally suspended Thaxon for the incident on July 16. He is scheduled to be formally arraigned on the charges on July 23.